Fall in the Eastern Sierras near Yosemite and Mammoth Lakes, California. 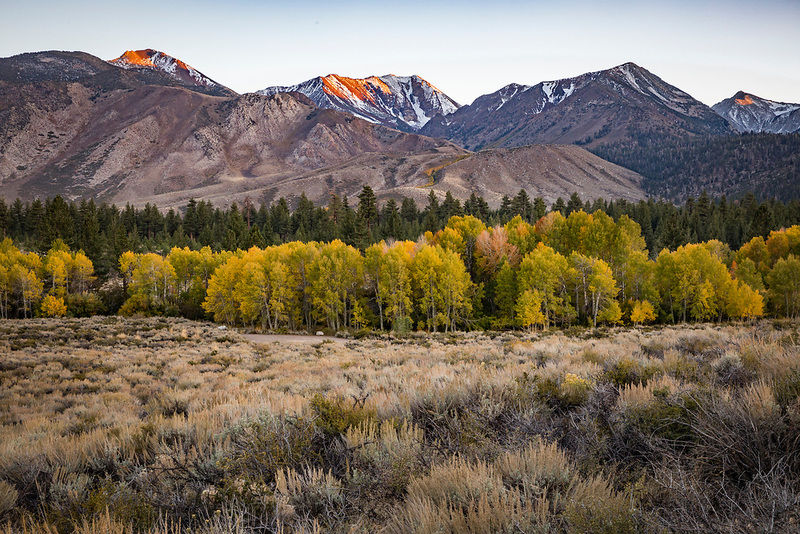 The Fall season in the Eastern Sierras is one of the most beautiful seasons to visit. A grove of Aspens line Mammoth Creek in this HDR photograph.